A BEST BOOK OF THE YEAR: The Washington Post, NPR, Entertainment Weekly, Real Simple, Marie Claire, New York Public Library, LibraryReads, The Skimm, Lit Hub, Lit Reactor AN INSTANT NEW YORK TIMES BESTSELLER "A captivating family saga." --The New York Times Book Review "This literary family saga is perfect for fans of Celeste Ng and Donna Tartt." --People Magazine (Book of the Week) If you knew the date of your death, how would you live your life? It's 1969 in New York City's Lower East Side, and word has spread of the arrival of a mystical woman, a traveling psychic who claims to be able to tell anyone the day they will die. The Gold children--four adolescents on the cusp of self-awareness--sneak out to hear their fortunes. The prophecies inform their next five decades. Golden boy Simon escapes to the West Coast, searching for love in '80s San Francisco; dreamy Klara becomes a Las Vegas magician obsessed with blurring reality and fantasy; eldest son Daniel struggles to maintain security as an army doctor post-9/11; and bookish Varya throws herself into longevity research, where she tests the boundary between science and immortality. 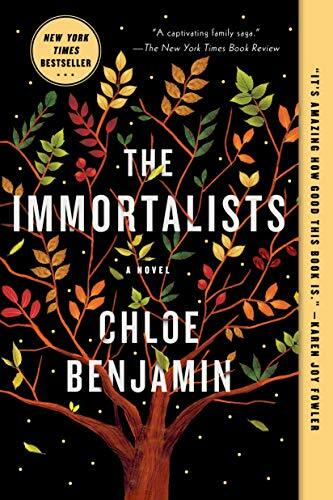 Both a dazzling family love story and a sweeping novel of remarkable ambition and depth, The Immortalists probes the line between destiny and choice, reality and illusion, this world and the next. It is a deeply moving testament to the power of story, the nature of belief, and the unrelenting pull of familial bonds.